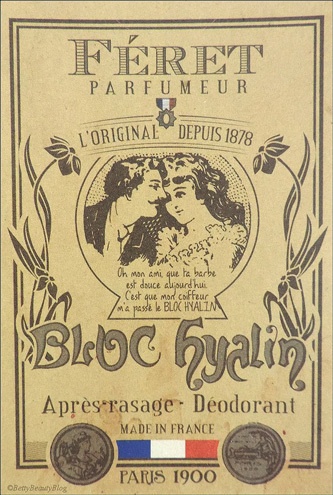 Féret Parfumer's Hyalin Bloc, first marketed in 1865, is the best Alum Stone block on the market today. 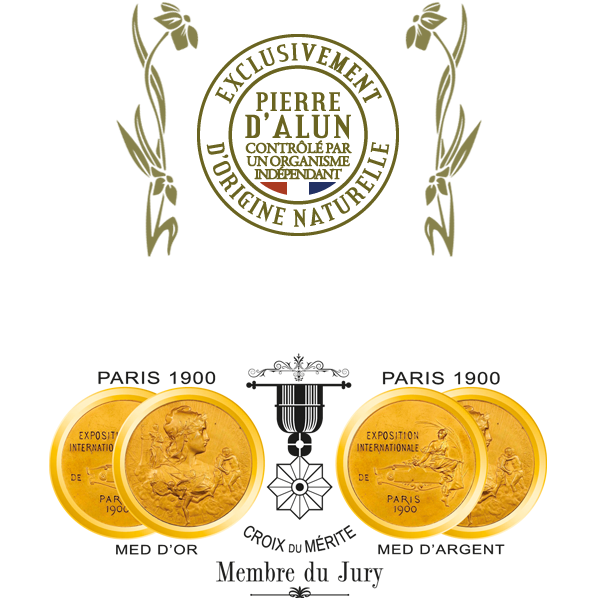 Unlike other similar blocks, it is 100% natural and pure. 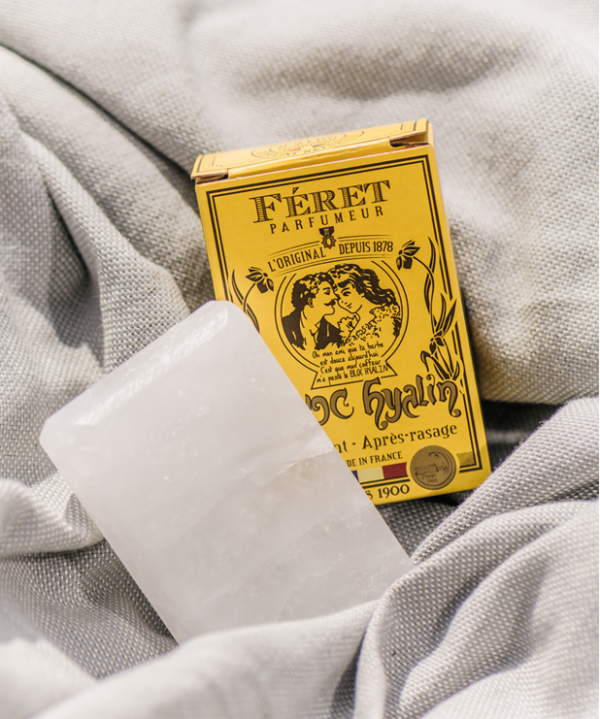 The exclusive purity of this product derives from the orography of the soil from which it is extracted and from the packaging process adopted by the Féret family, which in no way uses chemical additives or extraneous matter to the simple alum Stone. 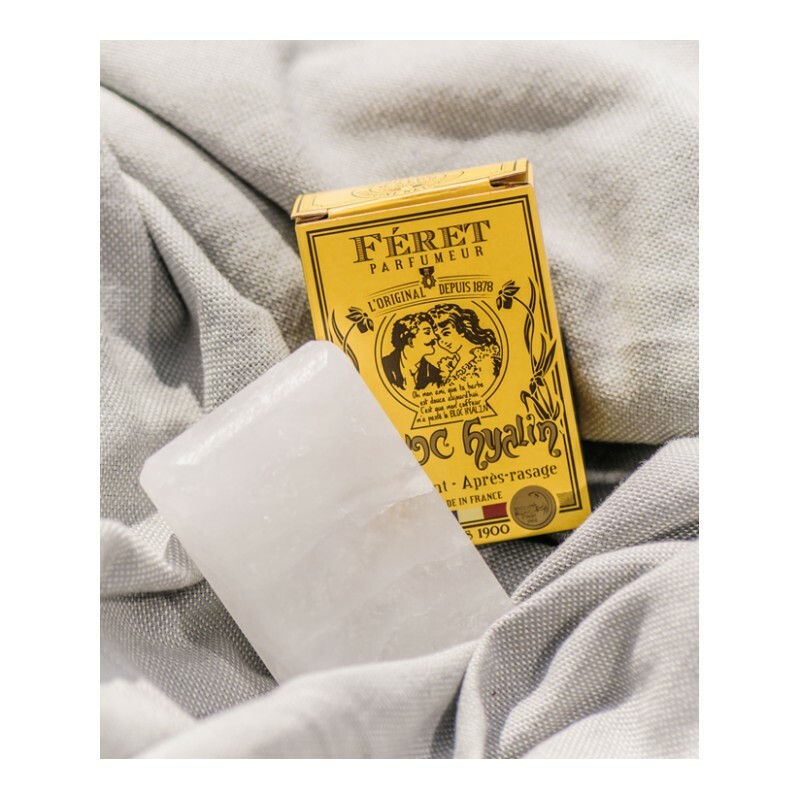 Nicole design store is official Féret Parfumer Reseller offering the coplete catalogue from the tradition french brand at the best price. Always available we guarantee for the products freshness thanks to the constant re-order. By buying this product you can collect up to 11 loyalty points. Your cart will total 11 points that can be converted into a voucher of 0,33 €.  Hyalin Bloc is 100% pure and natural Alum Stone. 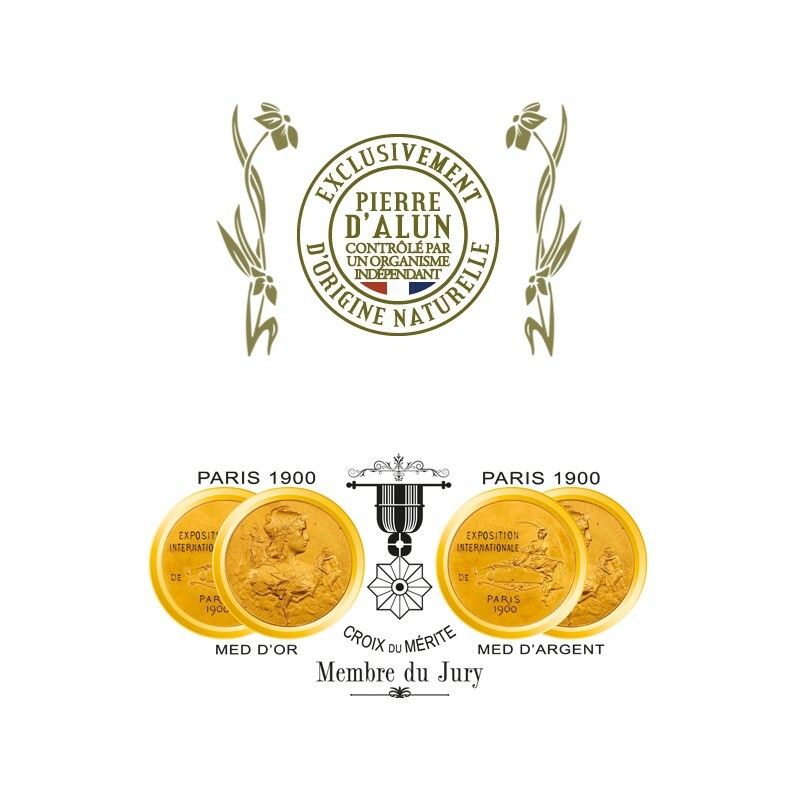 Its unique and exclusive features recognized by Féret Parfum since the Paris Universal Fair in 1900 make this product the ideal ally for the care of both men and women, both young and mature. It is recognised as the best alternative to deodorants that can contain perfume, alcohol and parabens. Smoothed on the skin, it leaves an invisible film of mineral salts which prevent the formation of the bacteria responsible for unpleasant odours. 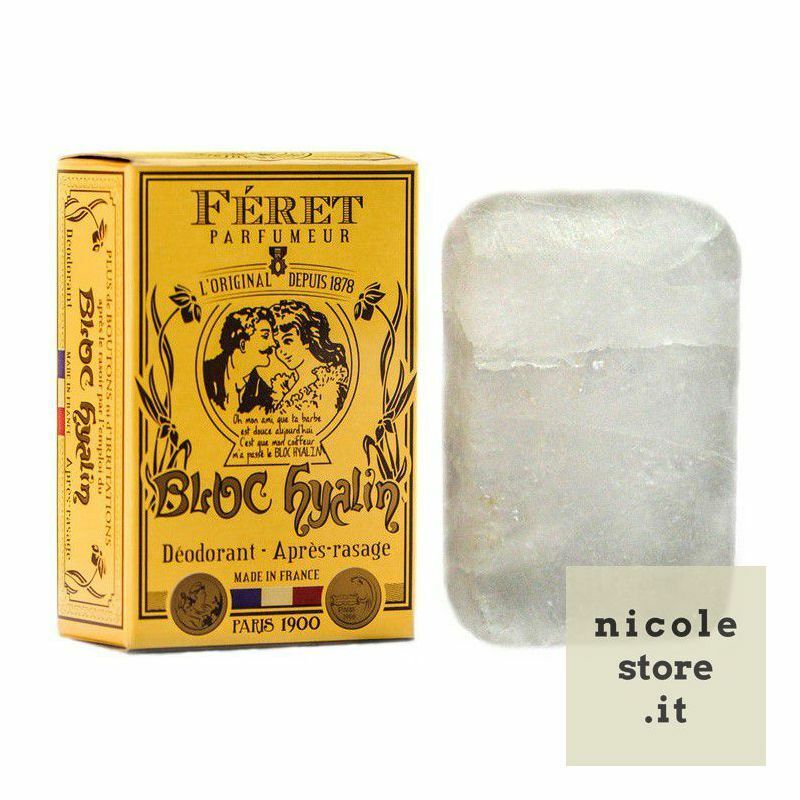 Used before shaving, its astringent properties prepare the hair and make shaving easier. 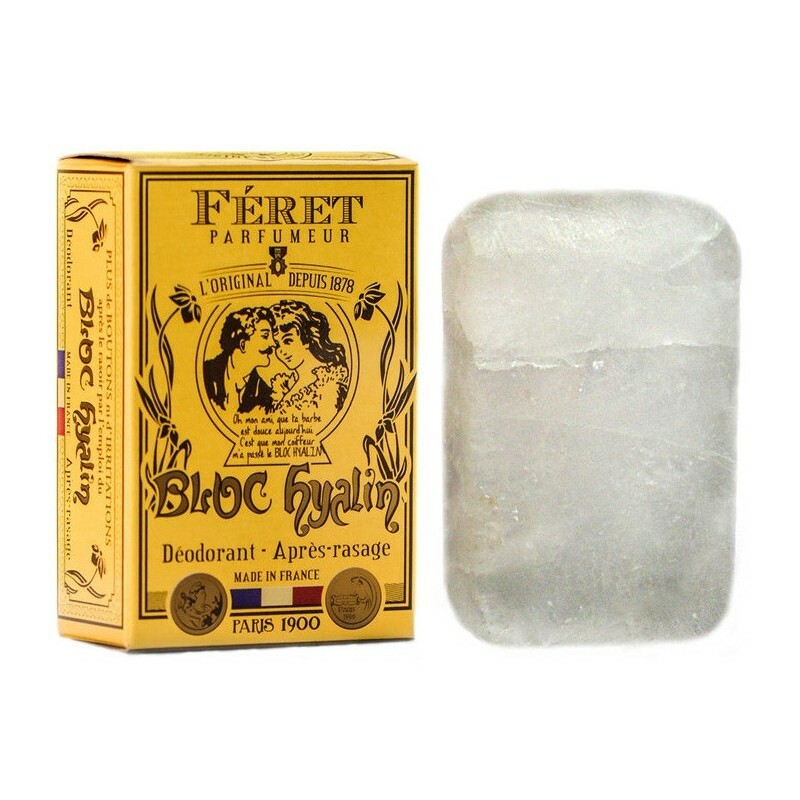 Used after shaving, it soothes razor rash, tones the skin and leaves a real sensation of freshness. In the case of a small cut, it prevents bleeding. Its anti-bacterial properties prevent the appearance of spots.